We are offering AAC Bricks Line to our clients. We are offering AAC Raw Material Plant. We are a most trusted name in between the topmost companies in this business, instrumental in offering a high-quality array of Hollow Block Making Machine. 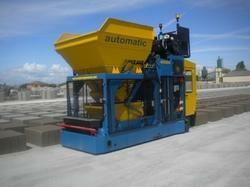 A german technology Semi Automatic Solid & Paver Block Machine for Sale in Chennai. Its a 2 years old machine which has been used for less than 10 months. It can produce 4 inch & 8 inch Solid Blocks and 4 design of paver blocks. Its capacity of production is very high with quality production. We manufacture mid-sized and high end output Concrete Block Making Machines Of IT2000 - SERIES, Mould sets and Pan mixtures, Conveyor system and other material handling equipments. 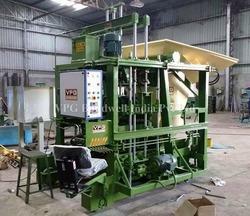 Owing to our rich industrial expertise, we have been manufacturing and exporting the best quality Coir Cup Making Press. Quality approved at various levels of manufacturing, press offered by us is highly demanded in the market. Professionals working at our end use high grade basic components to manufacture these press machines. We are one of the prominent Manufacturer and suppliers of the Die Blocks Machine in India.